Yup....I'm one of those dedicated bachelor fans and I'm so not sorry. It's my one night a week where I get to shut off mommy mode and watch some great drama on tv with my friends. If I'm being honest I was hoping Nick Viall was going to be this years bachelor but I'm excited to watch this season with Ben H.
I hear Becca from Chris Soules season is back which I'm pretty excited about! There is also a set of twins this season which I'm predicting will count as one rose, at least for the first night. Here are my top 5 pics for the first night! 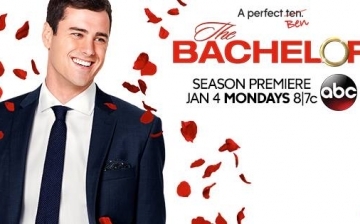 Will you be watching the Bachelor? Do you think Amanda goes to final 2?